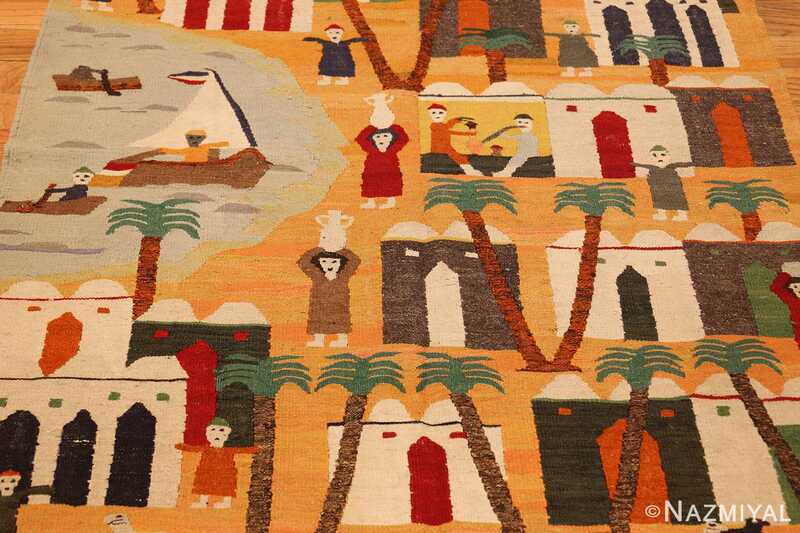 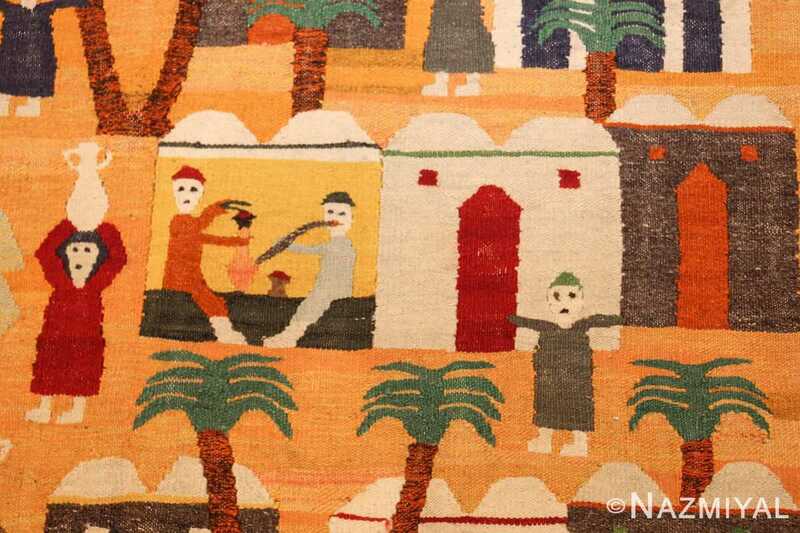 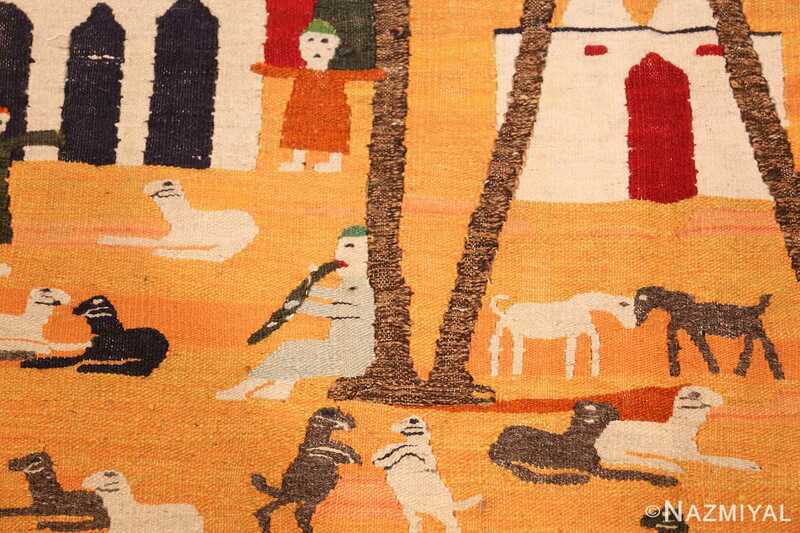 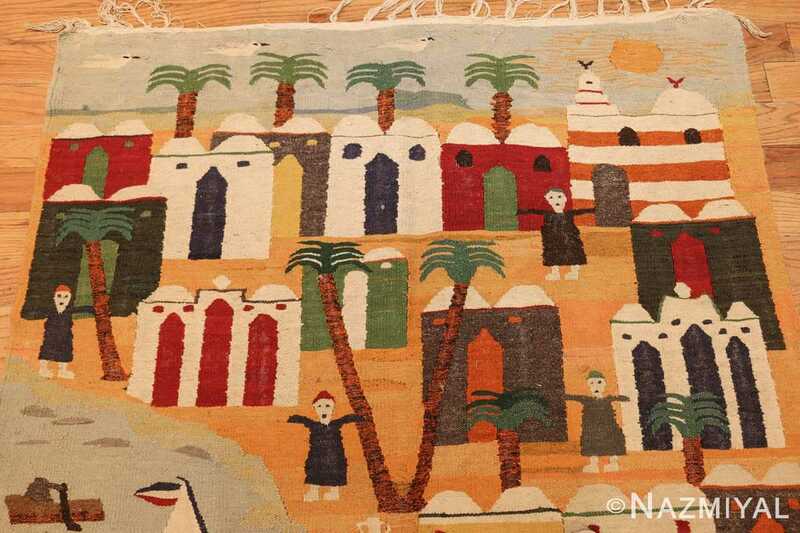 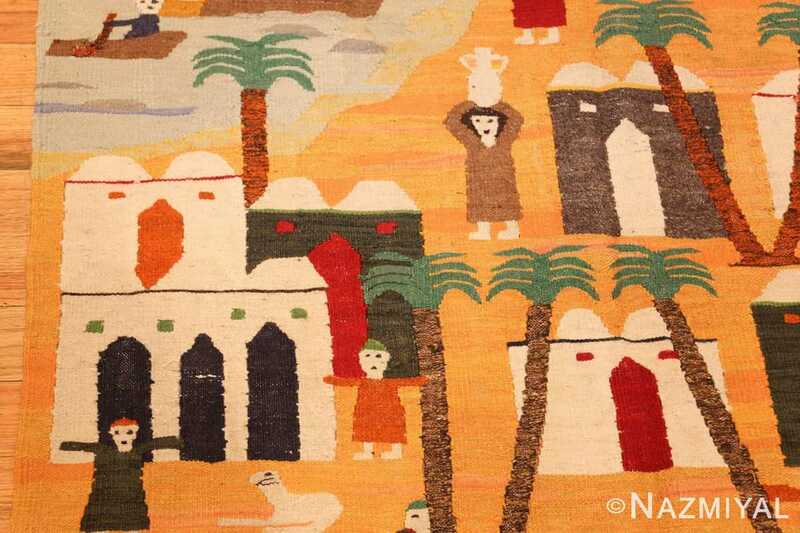 Whimsical Vintage Swedish Kilim Tapestry, Origin: Scandinavia, Circa: Mid-Twentieth Century – Lively and energetic, this pictorial tapestry depicts a charming seaside scene. 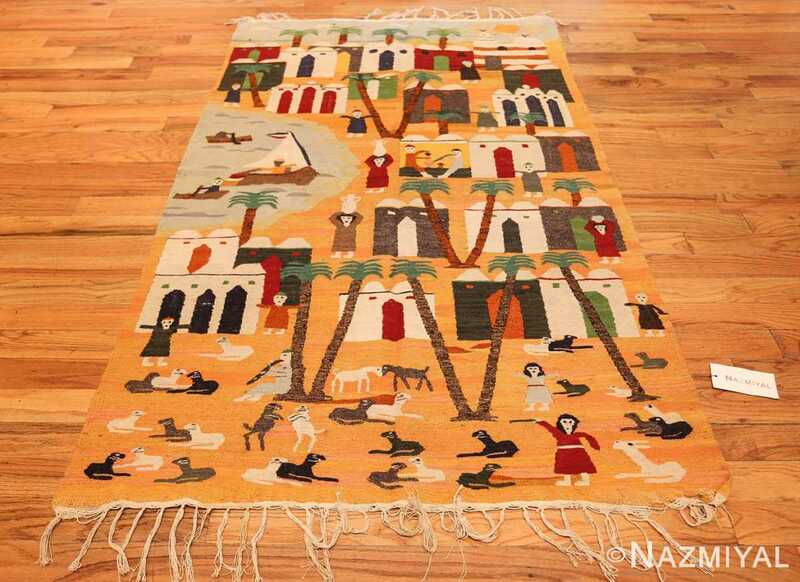 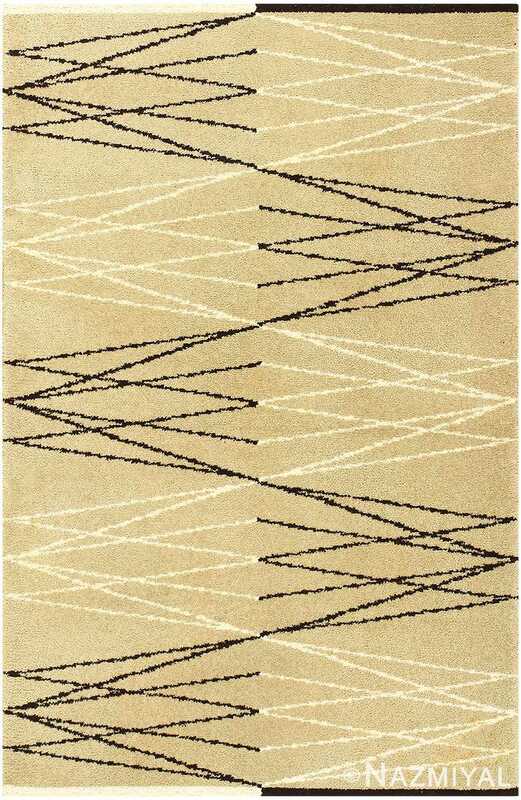 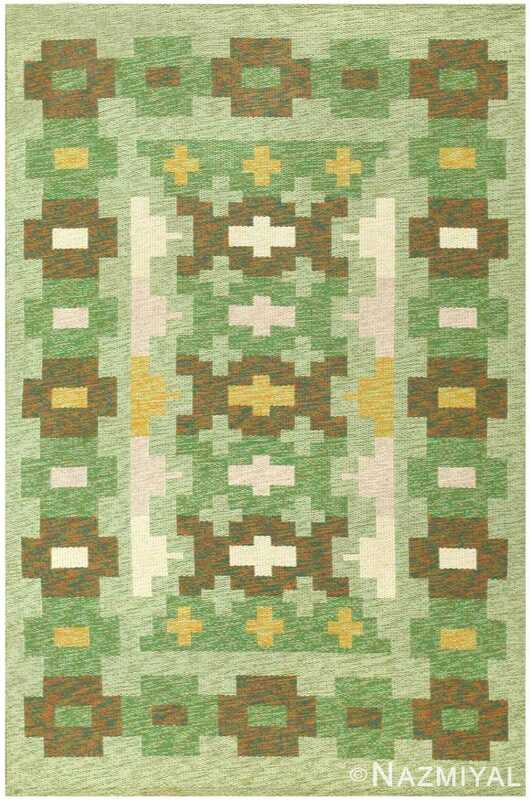 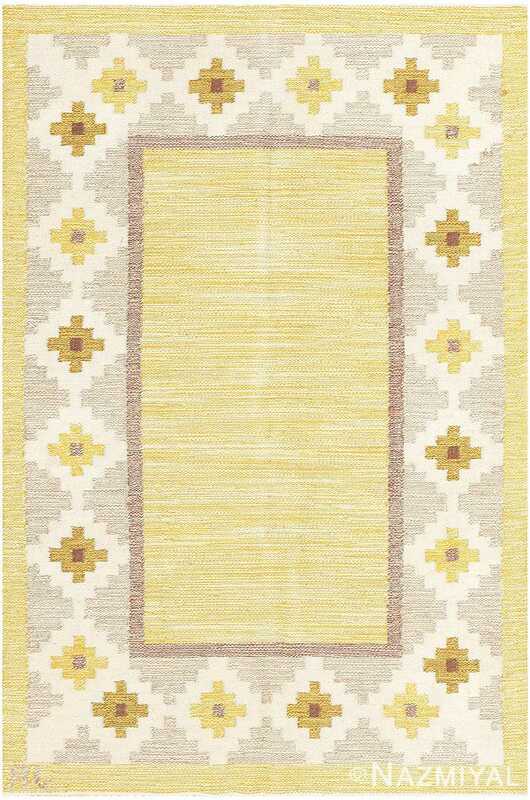 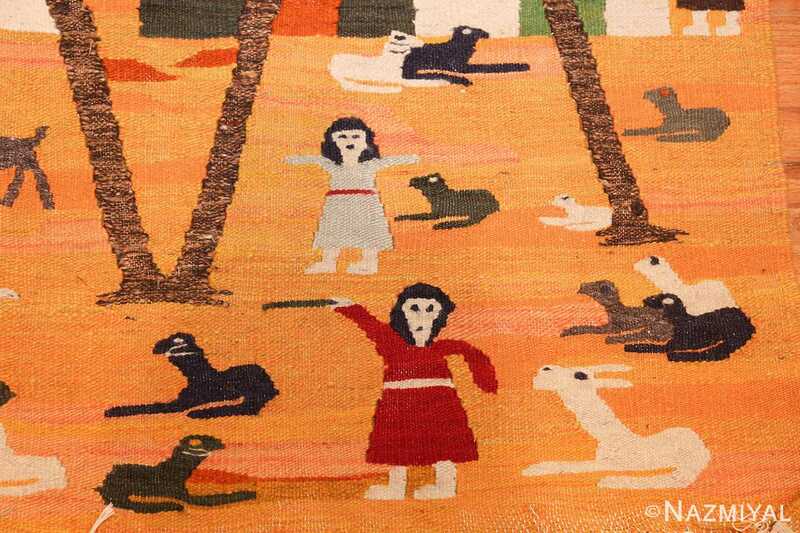 Characterized by bright colors throughout, this energetic Swedish rug also features a unique and distinct style: a sort of two dimensional approach, in which the people, houses, animals, trees and other details all superficially appear to exist on the same vertical plane. 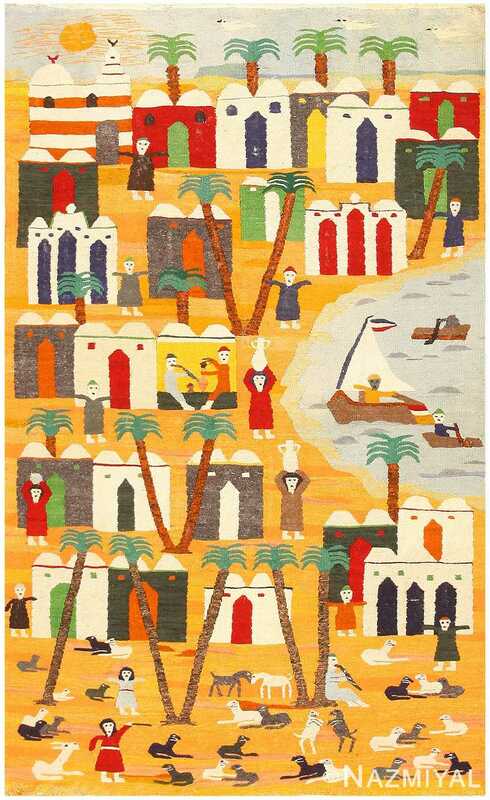 The motley assortment of beach houses, which are arranged in horizontal rows, help to break up the vertical of the composition, and enhance its overall composition strength. Further, the light-hearted nature of the composition gives an added sense of uniqueness to this Scandinavian carpet: the lounging animals and animated people that populate the painting complement the lively color pallet, giving the entire tapestry an impression of movement and excitement. 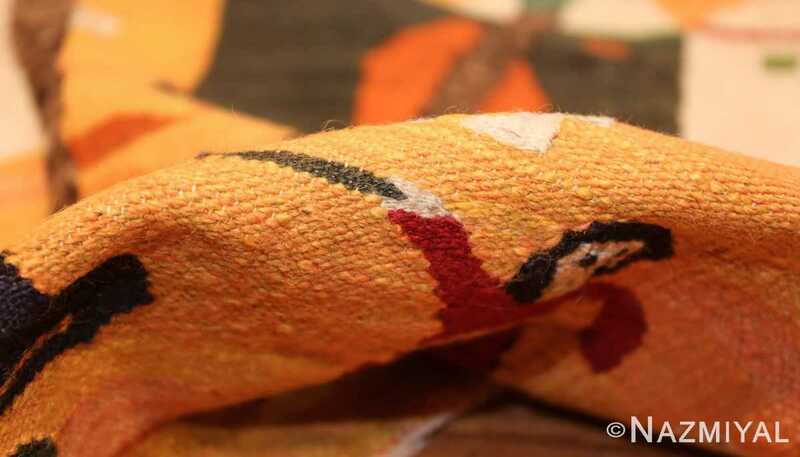 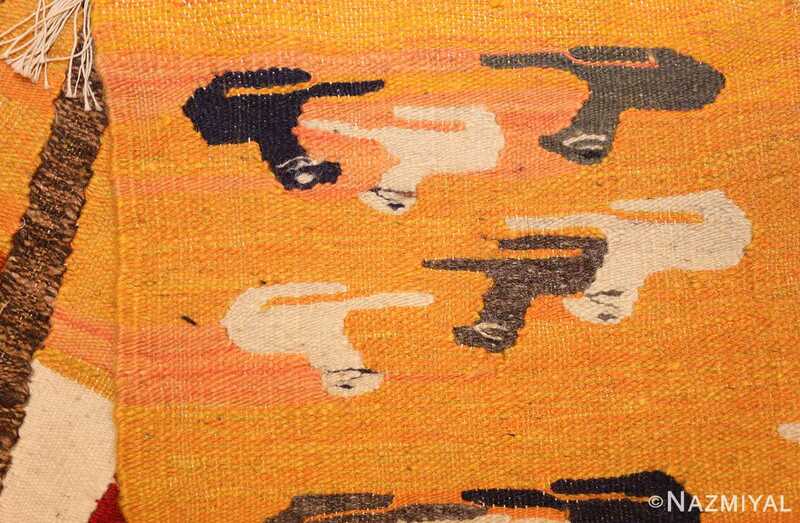 A truly unique and exciting example, this vintage Swedish kilim from mid-century Scandinavia exemplifies the dynamic range of that style of artisanal weaving.